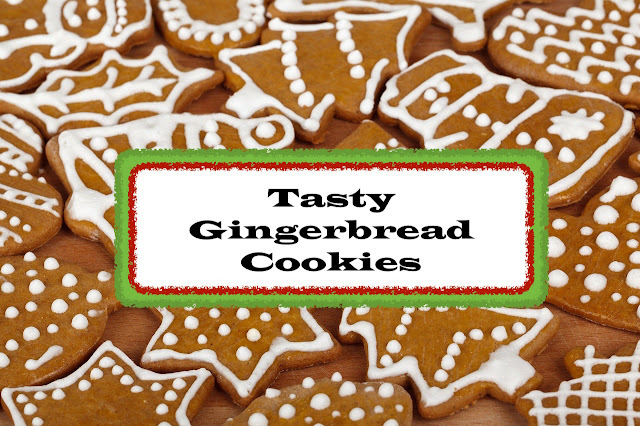 This recipe for gingerbread cookies is GREAT for people with allergies to milk or eggs, two ingredients found in most cookie recipes. My mom came across it when my brother was young. He had severe food allergies to the point of needing an epi pen. The recipe does contain gluten, but if you are allergic to it you could always try making it with a gluten free flour mix. Preheat oven to 375. Beat Shortening. Add sugar, cinnamon, ginger and baking soda. Cream mixture. Beat in molasses and water until combined. Beat in as much flour as you can and stir the rest by hand. (A kitchen-aid or other high power mixer can probably handle all the flour, but a smaller or hand-held mixer might not be able to.) Wrap and chill several hours or overnight. Roll 1/8 inch thick on a lightly floured surface. Cut with desired cutters . Place on greased cookie sheet* and bake 8-10 minutes. *I almost always use my stones to bake cookies on. They come out so good every time. So if you have seasoned stone use that instead. No greasing needed!